I like to really get into the holidays, as if you couldn't already tell. So when my Firmoo aviators came in on time for the fourth I was so happy! 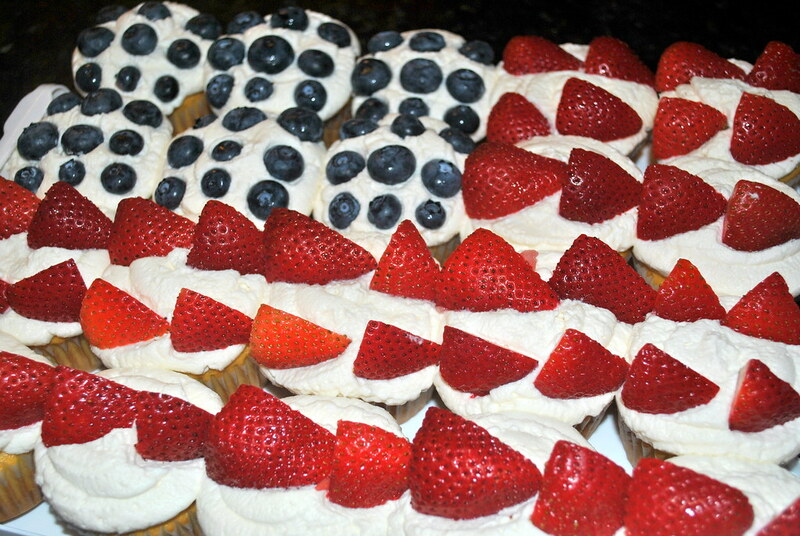 What better way to spend Independence Day than eating flag-themed cupcakes and wearing red & white, and seeing blue? Firmoo.com is the worlds most popular online store and has some really fun styles (and offer TONS of RX styles), and are super inexpensive which is almost a must for me. Unless they were a gift, I don't buy expensive shades for myself because they break/get lost so easily. Their customer service was really friendly, they shipped out fast and the glasses I custom ordered came out great! Check them out! Get your free pair here! In case you're interested, for the patriotic cupcakes I made lemon cake, topped with home-made whipped cream icing and strategically placed berries. Easy-peasy. loooooooooove looooooooooove this whole look!!!! and those cupcakes look delicious!!! Have a good 4th! your outfit is adorable and those cupcakes look delicious!! happy 4th of july!! Aww these cupcakes are so cute! you look adorable and those cupcakes look SO GOOD. happy fourth!! Those cupcakes are adorable! So cute for the 4th. Love those glasses on you, and they're perfect with this look :) Hope you have a fun day! I LOVE your blue sunnies!!!! Great pick! Have a happy 4th love! Love this whole outfit!!! So festive and those cupcakes look amazing! Your glasses are amazing and that necklace too, so beautiful. Those sunglasses are super fun! You look Ah-dorable! Those sunglasses are so fun and I love the whole outfit! The cupcakes look awesome too! Ah those cupcakes look so yummy and festive! Love the outfit! And I want to eat those cupcakes! Yummy! And as for your outfit- you look amazing, I love your dress! 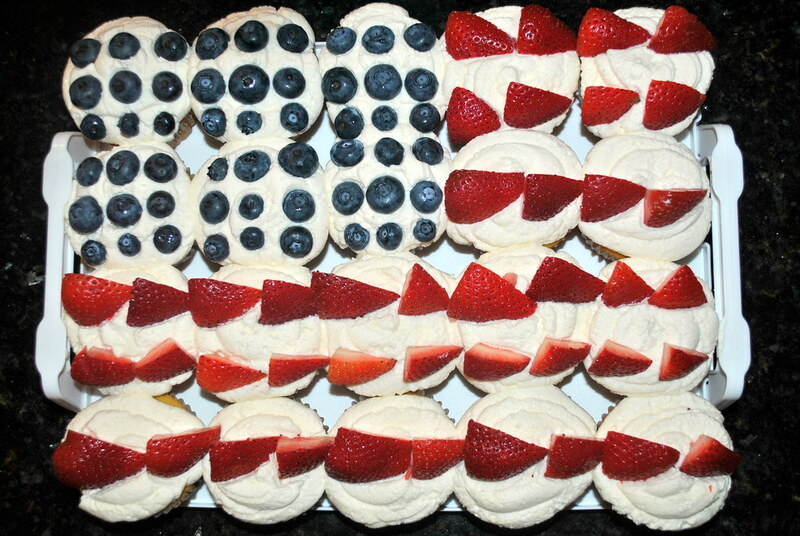 I love your patriotic outfit and cupcakes!! So cute :) The cupcakes look soo yummy. I hope you have a fabulous day!! You look sooo adorable in these sunnies! 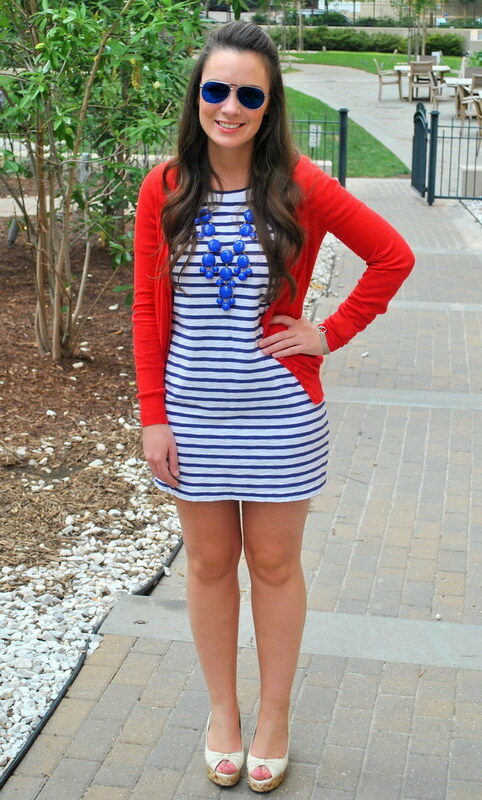 Very patriotic outfit, too! Love the outfit and the necklace! the desserts look so yum! how cute are those cupcakes??! and you look simply beautiful. You look adorable! those sunglasses are absolutely amazing - I love the colour!!! 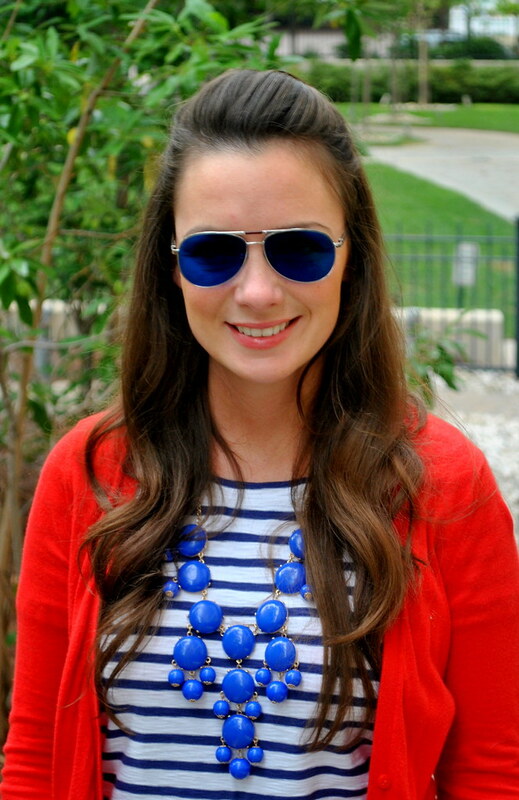 Love the outfit and blue shades! Teach m to make deserts! That outfit is very stylish. 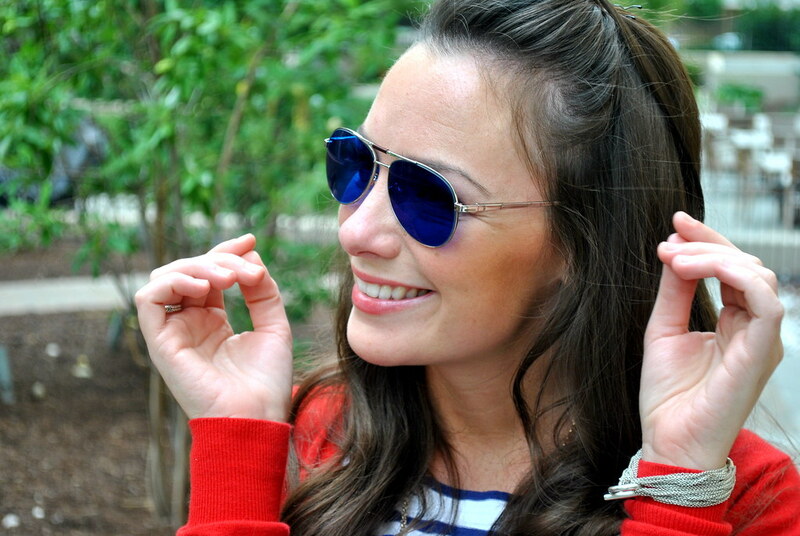 Whenever I see J Crew on bloggers, I love it. And those cupcakes...yum. Hope you have a good day! Happy fourth! Stunning dress and beautiful necklace, the whole outfit is amazing, just love it. Now that is my type of outfit. Those aviators perfectly complete the look. How adorable are you cupcakes, which reminds me, time for a cake break. Fabulous outfit! And amazing cupcake plate! Love the 4th outfit! Adorable!